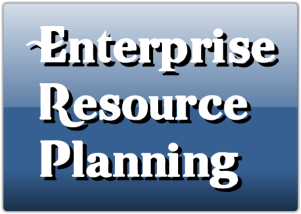 ERP (Enterprise Resource Planning) is a software system that allows companies to integrate their internal functions, such as Manufacturing, Production Planning, Finance, Sales, Service, Engineering, HR etc, around a common corporate database. In many companies, all these departments run their own software applications that are not properly integrated. When you hear that a company is correcting financial statements because of accounting irregularities in previous years, reason could be that there were integration issues between company’s accounting application and Sales/Manufacturing applications. There can be others reasons too such as Company executives manipulated earnings to meet Wall Street Expectations (and maybe ended up going to jail). Did you ever updated your address online and started getting all your monthly bills at your new address, but continued to get all the sales promotion on your old address? You could not figure out what was wrong with the company. Now you know. Billing department and Marketing department of company were not properly integrated. You can pick up the phone and advice the company to implement an ERP package. Is ERP really this great? Short answer is "Yes". But ERP implementations are full of challenges. ERP packages are extremely complex and companies might choose to implement only few modules like only Finance and HR. This will again leave integration issues. ERP changes the way people do their jobs and these changes affect practically everybody in the organization. People are reluctant to change. Proper communication is the key. Employees must be trained on the new system and on the new ways of doing the job. If Executives are reluctant to spend on trainings, it could lead to uncompleted or poorly completed jobs and frustrated employees. The list can go on. But it revolves around the fact that ERP implementation is very costly and very complex change. It drastically changes the way company does business.